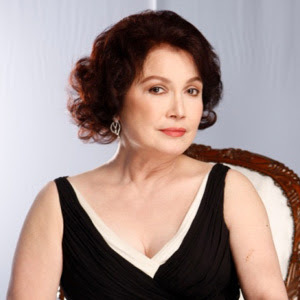 After portraying the remarkable character of Dona Margarette in the phenomenal hit teleserye "Walang Hanggan" last year in ABS-CBN, veteran actress Helen Gamboa switched network from Kapamilya to Kapuso! According to reports, Gamboa is said to star in GMA-7's newest Primetime TV series "Hanggang Ngayon" which also stars Lovi Poe and Rocco Nacino. The character of Ms. Helen in the said new Telebabad show is not yet revealed. But buzz says, it's another kontrabida role just like her recent portrayal in "Walang Hanggan." Gamboa already did two remarkable teleseryes in ABS-CBN. The first one was "Tayong Dalawa" in 2009 and the last was "Walang Hanggan" in 2012 both playing villain roles!